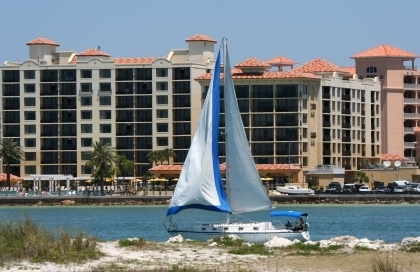 Clearwater is a town on the beach on the western side of the bay from Tampa, adjacent to St. Petersburg. The 3 towns are very close together (Clearwater is the smallest of the 3 and has the most small-town atmosphere). 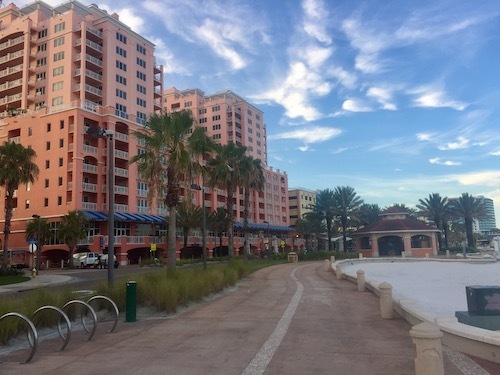 Clearwater's population is just over 100,000. Since most of Clearwater is on the bay the best beaches are across the causeway to the barrier island, Sand Key.